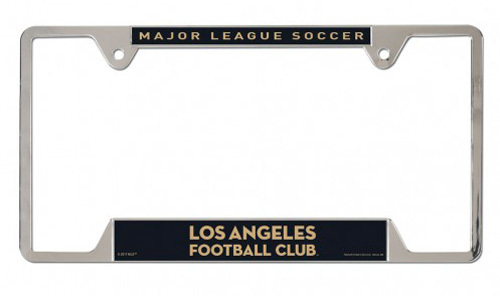 Officially licensed Los Angeles FC metal license plate frame. Decorated with two full color inserts. The cast zinc frame is chrome plated .024 gauge aluminum embossed with two mounting holes on the top of the frame. Standard 6"x12" size. Made in USA.